BMW M550i xDrive is the quickest 5 Series Yet! 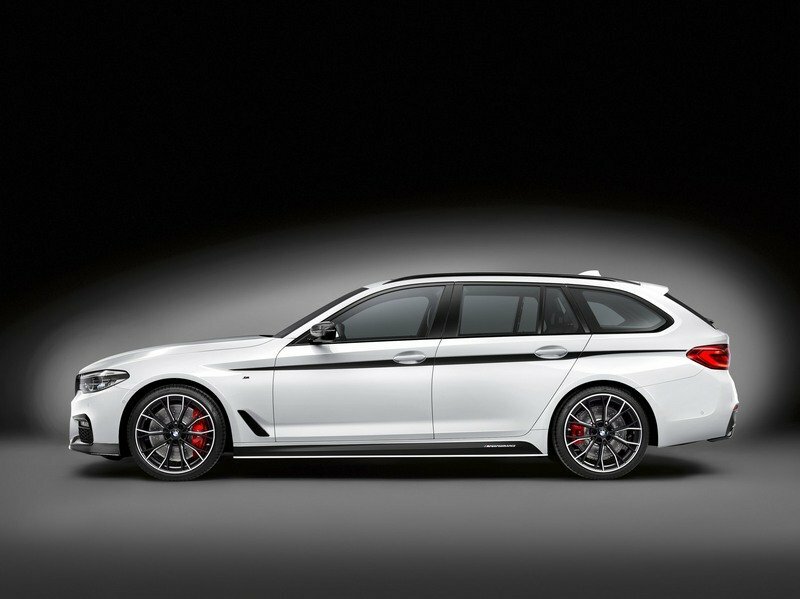 What makes the BMW 5 Series Touring with M Performance Parts so special? It’s become somewhat of a BMW tradition that when a new model is released, it doesn’t take long before an M Performance Parts option follows. And so, when Bimmer pulled the covers off of the new 5 Series Touring back in January 2017, it was only a matter of time before the M Performance Parts option would be unveiled. Well, it’s here because BMW unveiled it at the 2017 Geneva Motor Show. So, what exactly do prospective owners of the 5 Series Touring have to look forward to? A lot, it seems, especially for those who are looking for some snazzy upgrades to the exterior of their cars. Aerodynamic enhancements abound here and we see it in the 5 Series Touring as the car gets a new front lip spoiler made from carbon fiber, black highlighted side skirts, a small rear lip spoiler, and a carbon rear diffuser. 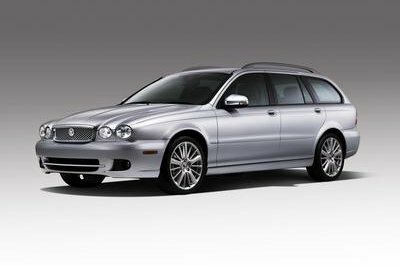 The pieces are noticeable too given how they make the wagon look sportier and more aggressive with their presence. Aerodynamic enhancements abound here and we see it in the 5 Series Touring as the car gets a new front lip spoiler made from carbon fiber, black highlighted side skirts, a small rear lip spoiler, and a carbon rear diffuser. 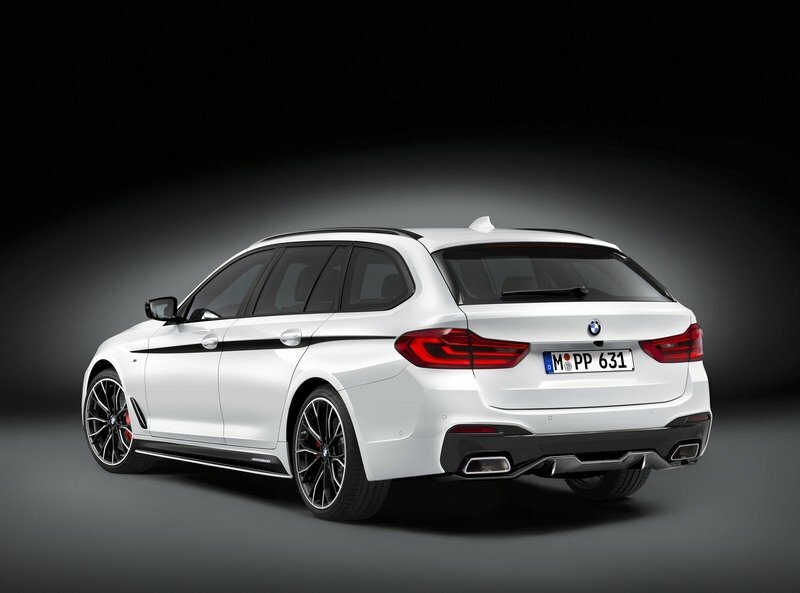 On the cosmetic side of things, the M Performance Parts option for the 5 Series Touring comes with front grilles, gill vents, and roof rails that have all been blacked out. Carbon mirror caps are also on the menu and for sheer distinction over other models without the parts option, black racing stripes that run down the sides of the car. The parts and pieces included aren’t all that different from the ones being offered on the 5 Series sedan. That presentation took place at the Essen Motor Show last December, and it was heavy on the same materials that we’re seeing on the 5 Series Touring today, including the black racing stripes, which looks admittedly more pronounced on the sedan version that it is on the Touring variant. 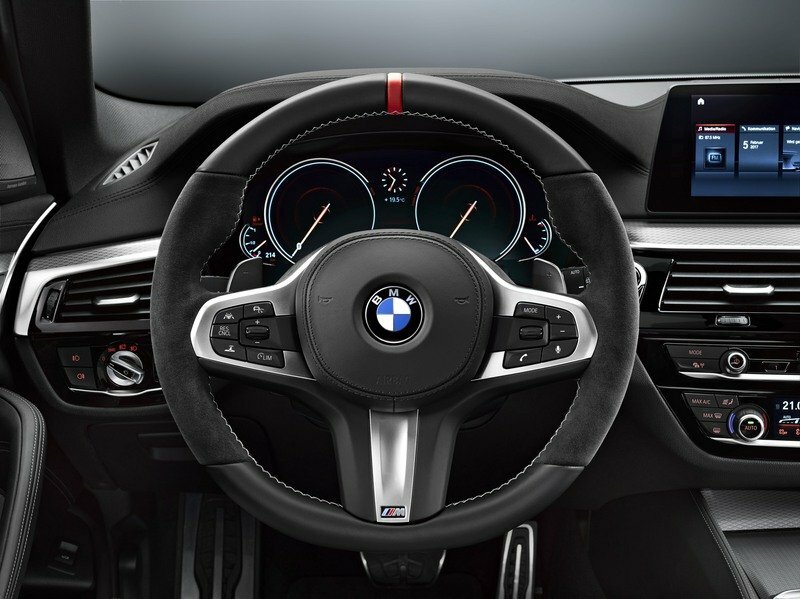 Beyond the cosmetic and aerodynamic changes, the M Performance Parts for the 5 Series Touring also comes with some notable interior upgrades, not the least of which is a choice of fine quality material like premium leather, Alcantara, and carbon fiber. The usual add-on accessories are also available through the M Performance Parts option. They include, for what they’re worth, a three-spoke steering wheel, a center console dressed in carbon with dash trimmings to go around, and last but certainly not least, new pedals. 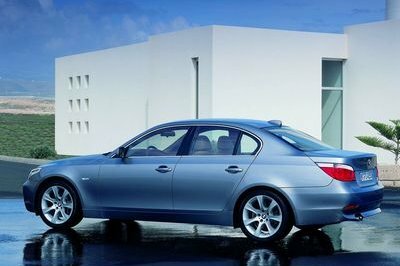 Once more, a quick look back into BMW’s M Performance Parts options for the standard 5 Series reveals even more similarities between the two options. Take for example M Performance steering wheel. 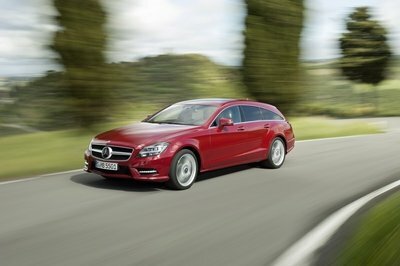 This particular equipment is available for the M Performance Parts options of both the sedan and wagon model. Same goes for the premium materials; most of the interior upgrades available for the 5 Series Touring can also be found on the sedan variant. The M Performance Parts for the 5 Series Touring also comes with some notable interior upgrades, not the least of which is a choice of fine quality material like premium leather, Alcantara, and carbon fiber. 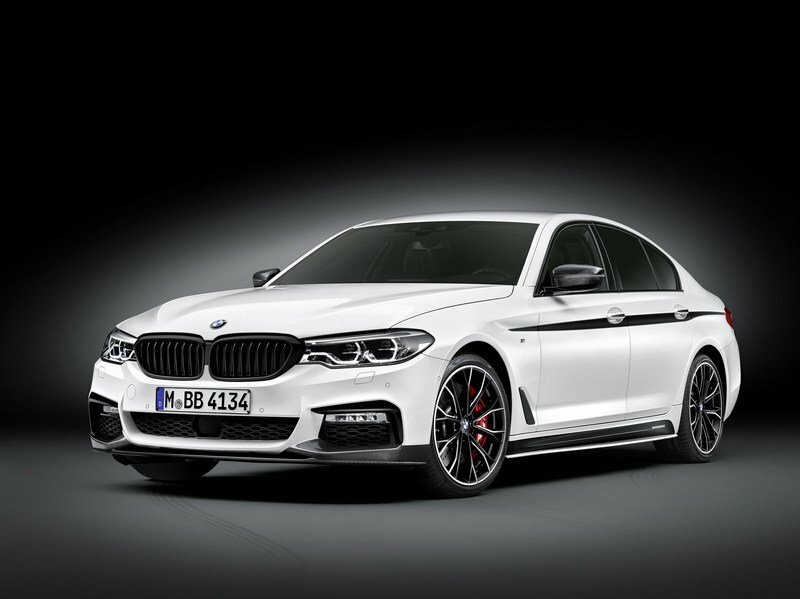 Completing the comprehensive options available to the M Performance Parts is a power kit for the 540i xDrive Touring variant that employs BMW’s new B58 six-cylinder engine. The kit itself doesn’t add a significant amount of power to the engine, but it’s still good enough to get an extra 20 horsepower and just under 40 pound-feet of torque, bringing the engine’s output up to 360 horsepower and 369 pound-feet of torque. Think that’s not exciting enough? 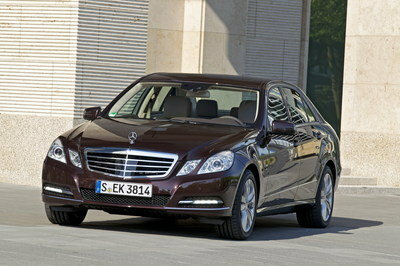 Well, consider then that the car’s standard output only peaks at 340 ponies and 332 pound-feet of torque. In terms of performance, the addition of the Power and Sound kit as Bimmer calls it, should help the 5 Series Touring sprint from 0 to 60 mph in just under five seconds. That said, top speed should still be at 155 mph on account of the electronic speed limiter. For diesel variants of the BMW 5 Series Touring – the 520d, 530d, 530d xDrive – don’t get the power kit, but they’re not left out of the fun entirely. 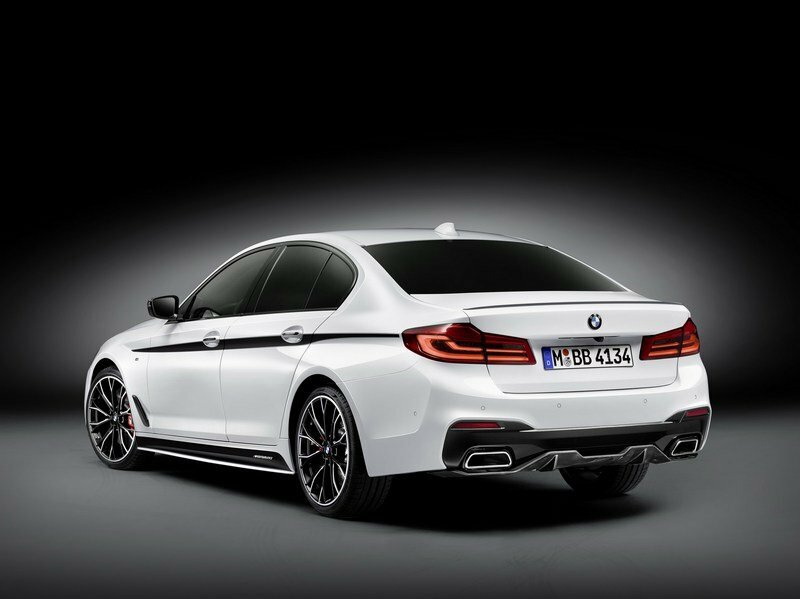 Instead, the German automaker is offering its BMW M Performance Exhaust System Diesel, which comes with its own special stainless steel sport muffler and trapezoidal tailpipes. Regardless of whether you’re a fan of the BMW 5 Series Touring or not, it’s hard to argue the lengths by which BMW is giving its customers opportunities to get more out of the model. While it’s not exactly a full-blown aftermarket program, the list of add-ons and extra options available makes it feel like it already is. It’s the same approach BMW took with the new 5 Series, and that’s turned out well for the German automaker. 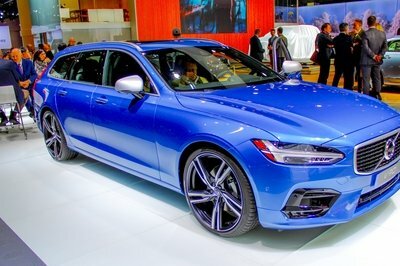 Not a surprise then to see it dip into this well one more time for the wagon version of the 5er because of the potential it carries to generate a lot of interest from future owners of the 5 Series Touring.